Are you shopping for a new showerhead? 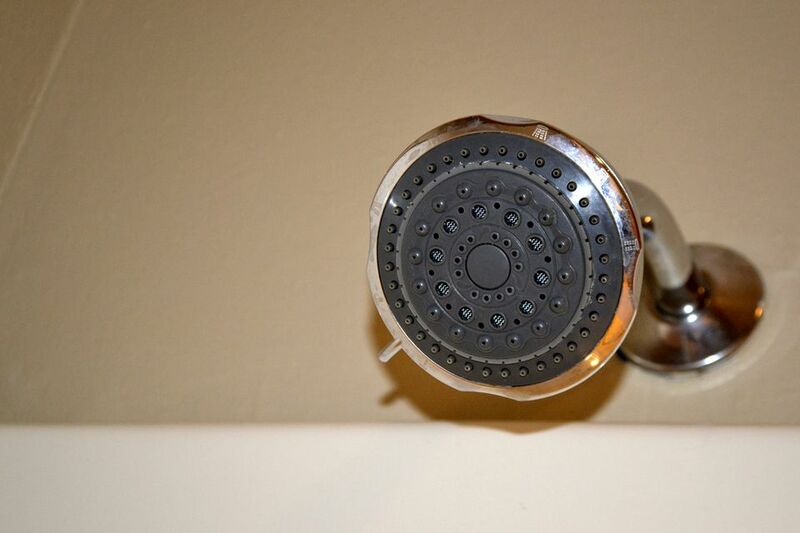 Is your showerhead broken, clogged, or are you just tired of it? Before going out and just picking one from the many choices at the store take a second to get an idea of what types of showerheads are available so you can get the most from your purchase. First of all, the showerhead flow rate is one thing that differentiates the different types of showerheads, so it’s good to know what it means. The flow rate of a showerhead is the measure of gallons per minute that a showerhead dispenses. According to the DOE federal regulations, showerheads cannot produce more than 2.5 gpm at 80 psi (pounds per square inch). Fixed: A fixed showerhead is one that is attached to the shower arm that comes out of the wall. Like most showerheads, you can change a fixed shower head by simply unscrewing the showerhead then screwing on a new one. Take care to hold against the shower arm when unscrewing the showerhead to avoid a broken shower arm. Fixed shower heads can come with all types of features like massage, rain, and water saving. Hand-held: A hand-held showerhead is connected to a long hose, and it sits in a cradle when it is not in your hand. Handheld showerheads can be used as a fixed shower head, but when taken off the cradle they can be used for much more, like bathing pets, washing children, and even for cleaning the tub. Hand-held showerheads are available in many different lengths of hose but to meet ADA compliance they must be at least 84” long. The longer the hose, the more convenient but it could get in the way of the tub. Hoses between 60” and 72” work well for the average home. Water saving: A water-saving showerhead can use as little as 1 gpm. If you are looking to save on water and gas (or electrical) usage, then a water saving showerhead might be right for you. Many of the water saving types of showerheads are aerated and then boosted to feel like they dispense more water. This type of water saving showerhead also works great in low water pressure conditions because they are making it feel like you have more water pressure than you do. Massage or spray pattern: There are many spray patterns available in massage type showerheads. Pulse, rain, jet, aeration, and mist are just a few. Not all spray patterns are as effective or convenient as others. I have seen showerheads with 8 unique spray patterns and as little as one claiming it was a massage showerhead. Rain: Rain showerheads are often an overhead style meaning you need to be able to be directly under it for best results. Rain style shower heads distribute water lightly and evenly from above with an oversized head for a wide distribution of water. Rain showerheads work best in conditions where there is plenty of water pressure to help the showerhead deliver water effectively. Dual (fixed and hand): Can’t decide on a wand or fixed type showerhead? Then how about both. These showerheads come in many shapes and forms, some even integrated where it looks like only one shower head but the inside piece pulls out to be used as a wand. Dual showerheads can come with many spray pattern massage settings, so you get everything all wrapped into one. Body sprayers: You can find body sprays in some custom showers. They require a special type of shower valve and spray bodies installed inside the wall, so they usually are done in the construction or remodel phase of the bathroom. These can be turned on with the shower head or work independently. If you plan on adding these to your shower, then plan ahead for complications. Slide bar: A slide bar shower fixture is mounted on the wall of the shower and can be used to adjust the height of the showerhead easily. This type of showerhead can work well in situations where you might need to customize the height of the showerhead for the different members of the family. They are also handy when you want to keep the water low to avoid getting your hair wet.